You knew that Polaris wouldn’t get away with having the hot, new suspension story all to itself for very long. Certainly not if Ski-Doo had anything to say about it. 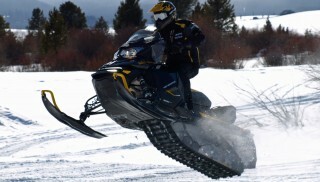 For model year 2012 — the third season for Polaris’ outside the skid frame Pro-Ride design — Ski-Doo will be saying plenty, though on a somewhat limited basis for the upcoming season. Where Polaris engineers thought outside the skid frame with its external shock design, Ski-Doo engineering stayed inside the skid frame, which it believes helps the Rev chassis maintain a low center of gravity and inherently more consistent response. 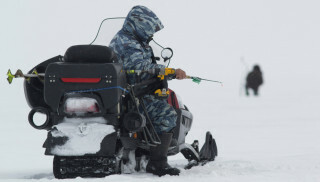 Working within the confines of the track’s circumference, Ski-Doo designers devised longer travel by reworking the suspension’s action from linear to curved. In essence, by adding pieces that arc and swing as a bell crank, which is defined simply as a crank that changes motion through an angle. Ski-Doo’s all-new rMotion rear suspension comes in this Quick Adjust design with runningboard-mounted adjusters as well as a “base” version. In the 1970s, Kawasaki highlighted its use of bell crank designs in its snowmobile suspensions to give its top line models extra travel versus the competition. Indeed, the late 1970s through the early 1980s saw an active battle among sled makers as each brand tried to outdistance the other as regards inches of rear suspension travel. Bragging rights to greatest travel brought about some clever ways to measure and determine inches of travel. Kawasaki measured its travel according to the bell crank, while others measured travel at the axle or the amount of collapse in the suspension design; whichever was greater than the other guy. One manufacturer even curved the rear of its running board upwards and offered a measurement consistent with the action of the rear axle’s arc. To combat the Pro-Ride, Ski-Doo revisited its successful SC suspension design, which first appeared in the mid-1990s, and worked up an all-new rear suspension that may look similar to the SC-5 but is all new, claiming that “…every piece is new and absolutely state-of-the-art.” Indeed, the new suspension combines a rising rate with all new degrees of adjustability that give this design an increased “sweet spot” that should make its ride even more popular than the versatile SC-5. Ski-Doo makes fine-tuning the Quick Adjust version intuitively interactive with easy to follow “set up” cues. Ski-Doo feels that the new suspension, named rMotion, will offer the greatest rising rate motion ratio of any existing rear suspension. The design goal was to maintain comfort and control in the small chatter bumps while adding capability in deeper moguls. To get this action, the designers gave the rMotion an extra two inches or 13 percent more rear travel than its existing SC-5 suspension. Ski-Doo claims this results in up to 30 percent greater rear travel than what’s available with some competitors. This extra travel not only adds greater reaction, but it is action that can be tuned for a more supple and softer ride, depending on how the rider wants to use the travel. You’ll note that Ski-Doo suspension engineers work with both separate springs and shocks. This allows the suspension to provide a soaking-up action of light trail chatter via the springs, with the shock’s stroke action coming in to play as the on-trail ride gets progressively more active. The shock controls more of the ride as the bumps get bigger and come faster. The suspension components have been designed to suit most riders after an initial set-up with an extremely versatile level of fine-tuning. All three suspension springs feature preload adjustments. The rear shock mounting position allows two mounting points to tune motion ratios from a sporty to all-out performance ride setting. Inverting the rear shock not only reduces unsprung weight in the suspension but also makes the shock’s damping speed adjustment easier to reach. That’s not the only rider-friendly aspect of fine-tuning the suspension. The damping speed adjustment and coupling block position have been constructed so that you can make adjustments with your gloves on. Runningboard mounted adjuster shows clearly marked settings to make precise adjustments. 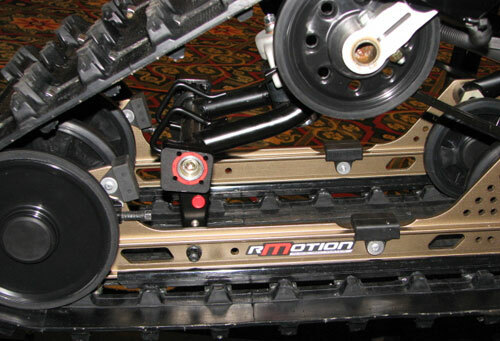 You can see the use of easy tuning of the remote adjuster on the “base” rMotion suspension. These design components make the suspension both tuner-friendly and extremely versatile in base format, but for those who want even friendlier tuning, there’s the rMotion Quick Adjust system. This design takes the concept of “dial adjust” suspension tuning to a new level of convenience. 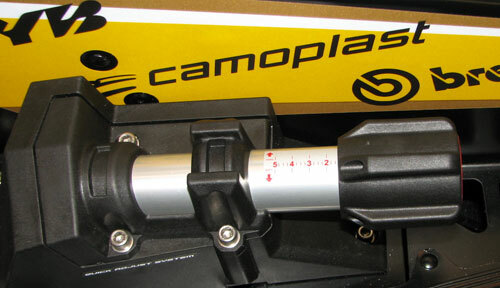 Similar in concept to Yamaha’s tunnel-mounted, remote control adjustment, the Ski-Doo rMotion Quick Adjust goes another step by placing controls for the rear spring preload and rear shock damping speed on the rear portion of the runningboard. The control knobs fit easily into a gloved hand and come well marked so you can read and make proper settings with no doubt as to where you want the knob to go. Ski-Doo notes that its remote quick adjust design increases spring preload adjustment by 40 percent and offers infinite settings between full soft and full hard. With its use of cams, springs and remote adjusters, the new rMotion offers increased travel, a broad sweet spot and pushes capability, comfort and adjustability that make it the most rider-friendly suspension Ski-Doo has ever engineered. All the while, Ski-Doo has kept the revision inside the existing skid frame. Ski-Doo engineers believe that keeping the design internal maintains proper sled height established for its rider-forward REV-X chassis. They feel that an external mounted shock outside the skid frame could adversely affect the Rev’s balance by raising the overall center of gravity and lead to “high siding” in turns and invite excessive body roll. While keeping all design components within the skid frame, Ski-Doo engineers added a longer front suspension arm whose new geometry actually reduces front to rear transfer and means that the front shock can utilize a long stroke for greater bump action. 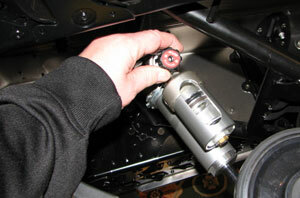 The center shock has been inverted to reduce unsprung weight and allow easier access to its adjuster. The mounting linkage at the back works in concert with the front arm and further reduces transfer while it increases overall travel. 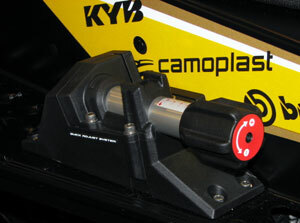 Plus, the new coupling block can be set sans tools and gives you a greater range through its 4-position adjustments. For example, Position 1 provides the most comfort while Position 4 gives you most ski pressure. 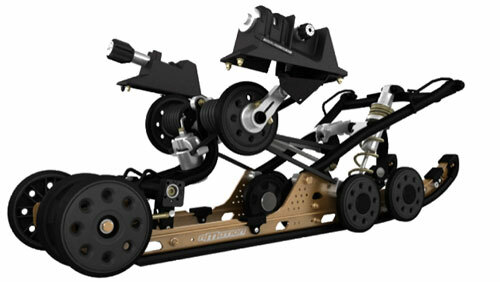 Likewise, the rear shock mount allows the suspension to change the sled’s personality from sport to high performance. New rMotion coupler blocks offer wider range of settings than previous SC-5 design. Ski-Doo’s all-new 2012 rMotion rear suspension will be available on select early season “Spring-Only” MX Z-RS and MX Z X-package models. So, if you want either of Ski-Doo’s latest “trick” design suspensions, you’ll have to choose early. We have yet to test ride this suspension, but will give you a full report as soon as we wrap up our late February new model review of all the 2012 Ski-Doo models.